I’ve wanted to make my own frozen creations for quite some time now. While I really want to pull out the ice cream maker, there just isn’t quite enough room in the freezer to do so. Hopefully we’ll get a deep freezer soon and then I won’t need to worry about space anymore! But since I can’t make ice cream, I decided to make the next best thing…popsicles! 99% of the time in the summer I prefer a fruit flavored popsicle to ice cream. Its just fresher and lighter. Which is exactly what I was craving when I came across this recipe. Even though these are made with milk, I decided to give them a shot because I had all of the ingredients on hand. 1. Whisk together the milk, honey and vanilla until combined. Add in the berries. 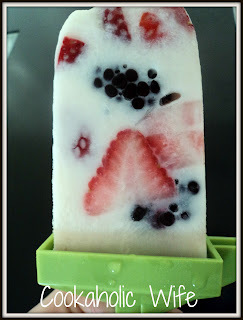 Pour the mixture into popsicle molds and freeze for at least 4 hours. 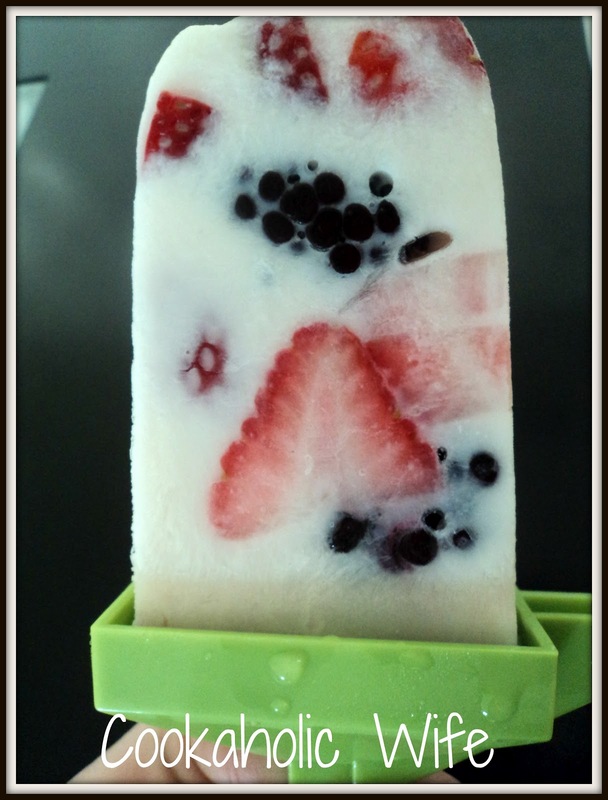 While these were good and satisfied my popsicle craving, the milk made these really rich and the berries weren’t particularly sweet. I want to play around with this recipe some and see if macerating the berries first will help with the sweetness and if using 1% milk will take away from the richness. Above is what happens when you try to take a picture in a new place and have a very curious kitten.